The current question of racism is a red herring. It’s easier to focus on a single word uttered by a single celebrity than it is to address the real issue and tragedy of racism. The “N” word is an abomination to me. Thirty-eight years ago, I lived briefly as a Yankee in the heart of Louisiana in a city ruled by a code of “Separate, Unequal and Proud Of It”. It was ten years after the world described in the movie The Help, where that “N” word flowed as freely as Coca-Cola does in Atlanta. During my 5th grade year in the Deep South, I went to a public school where whites were in the minority but were given privilege at every opportunity. We had separate doors, and the playground was divided by race. We got the side with the swingset and monkey bars. Another Yankee girl dared to play on the wrong side of the playground – the side with the grass – and she was beaten up by my white classmates who told her never to make that mistake again. Buses followed the letter of integration laws by having separate bus routes at different times, using the same bus, but divided by race. It was the world before fair housing, so the city was divided as well as swimming pools, churches, restaurants, and more. We lived in an American version of Apartheid in 1975. As a girl from a small town in southern Illinois who wasn’t raised in a racist home but had never dealt with any racial issues, I was in absolute culture shock. I hated that world. What I hated most was the failure to educate that I saw in my classroom every single day. We read aloud daily in class. Some kids on the other side of the classroom (we white kids were assigned seats closest to the furnace and air conditioner vents) were completely illiterate. The teacher simply read their sentences aloud, and those students repeated them. No effort was ever made to teach them to read. It was simply accepted that they couldn’t and never would read. Both my brother and I had minority teachers who weren’t allowed to discipline their white students. That role was reserved for the school’s white principal. My teacher was better than my brother’s; his teacher chose a minority student to beat each afternoon in the cloak room. One day, she beat a girl so badly she beat all the buttons off the back of her dress. Flash to the present day. Where would those students in my class, who were passed on and passed up, without ever learning to read, be? 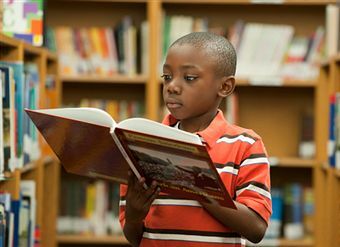 Without the ability to read, it’s harder to develop better language skills. That in turn limits the opportunity not only for career mobility but also complex thought. Where would the students in my brother’s class be — in the same sunken boat filled with a lifetime pool of anger? My position on racial issues is impacted by my religious faith and an acknowledgement of the innate human dignity we all possess. While we all ponder a single word uttered by a white celebrity cook, we miss the tragic testimony of the star witness in another racially-infused trial of national attention. The witness could not read cursive writing. She was as unable to comprehend and communicate what the prosecutor asked of her as those attending were unable to comprehend her. What would happen if we acknowledged the “N” word is an abomination, simply resolve not to use it and spend our time in a more constructive manner – of trying to figure out how we can reach kids of all races who lose their chance at a better life before they are ten years old because they aren’t given the opportunity of a good education? Why aren’t we instead concentrating on how we can better communicate with others of different cultures in this great American melting pot? The answer, I’m afraid, is it’s easier to think about an “N” word than it is to think of the “R” word of Reading — which opens more doors than racism will ever close. We can’t unring a bell. If we focus too much on words of the past, we miss the opportunity to build a better future for all of us — regardless of race, color, or creed. What Can We Learn from the Trayvon Martin Story?